Joseph L. Hodges was born on April 10, 1922 in Shreveport, Louisiana and raised on nearby Elm Grove Plantation and later in Phoenix, Arizona. Joe entered the University of California at age 16 and obtained his BA in mathematics in 1942. He continued in Berkeley as a graduate student of mathematics but as a result of the war switched to statistics the following year. In the summer of 1944 he joined an Operations analysis group and after some training served in that capacity (together with his fellow budding statisticians Erich Lehmann and George Nicholson) with the 20th Air force in Guam. After the war he continued this work for another year in Washington, D.C. There he met Theodora Jane Long, and they married in 1947. 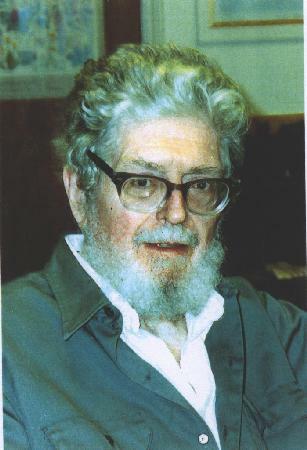 After returning to Berkeley Joe obtained his Ph.D. in 1949 under the supervision of Jerzy Neyman and then joined the statistics faculty (at the time a part of the mathematics department) which consisted of Neyman as Director of the Statistical Laboratory, and Barankin, Fix, Lehmann, Loeve, Scott and Stein. He remained in Berkeley for the rest of his life except for a year's leave at the University of Chicago (1951/52) and a sabbatical year in Sweden (1956/57). Joe is best known for his work in nonparametric inference. In a technical report (with Fix), written in 1951 but published only in 1989, he pioneered nonparametric density estimation. He is the inventor of the Hodges bivariate sign test and (with Lehmann) of the Hodges-Lehmann estimator. One of his most striking discoveries was the phenomenon of superefficiency which exploded long-held beliefs about maximum likelihood estimation and had a profound effect on asymptotic theory. From 1961 to 1964 Joe served the IMS as Editor of the Annals of Mathematical Statistics, and at the end of his term persuaded the Institute to ease the burden of the job by splitting it with a managing Editor who would deal with the publishing aspects. Joe was a superb and inspiring teacher who was particularly concerned with undergraduate teaching. In this connection he co-authored the elementary texts: "Basic Concepts of Probability and Statistics" (1964, 2nd Ed. 1970) jointly with Lehmann which was translated into Danish, Hebrew, Italian and (fairly recently) Farsi, and "Stat Lab - An Empirical Approach" (1975) jointly with the psychologists Krech and Crutchfield. Teaching became difficult when he suffered severe hearing loss and he retired in 1991. His greatest enjoyment in retirement was his and Teddy's family, five children (three of them living close by) and eleven grandchildren. On March 1, 2000 he died quite unexpectedly from a heart attack. At 6ft 4, Joe was in imposing presence and not only physically. He enjoyed being contrarian and would often exaggerate his innate conservative position for the sake of argument. He was intolerant of verbosity and at Academic Senate meetings loved to surprise tedious speakers by unexpected "calling for the previous question". This perhaps reflected one of his intellectual passions (other than mathematics), the English language. He delighted in a good limerick or an interesting definition from the OED. Joe was supportive of his students (for many years he was the Department's Major Adviser) and a generous and caring host to his friends. His vivid presence will be missed by all who knew him.